It’s World Book Day on the 1st March. It’s a shame, but the fact is that not everyone enjoys reading books. Not many learners will admit that they don’t know how to extract meaning (the joy) from text. As teachers, we all know that our students may prefer to be ‘lazy’ or, dare I say it, to misbehave, rather than admit they simply don’t know how to do something. Extracting meaning from a book may be easy for some, but not all. And even those that do this easily most of the time may need a little help when they encounter text that they find complex or ‘dense’. The same can be said for taking notes or writing book reviews. Those that can may not be aware of how they do it. And those that can’t have no access to the ‘how’ either! So the HOW2 team has created a little set of HOW2s — to support you in helping the young people we serve to enjoy and celebrate books on World Book Day. Those of you whose schools subscribe to HOW2s have full access to the ‘Literacy > Reading for Meaning’ Set. 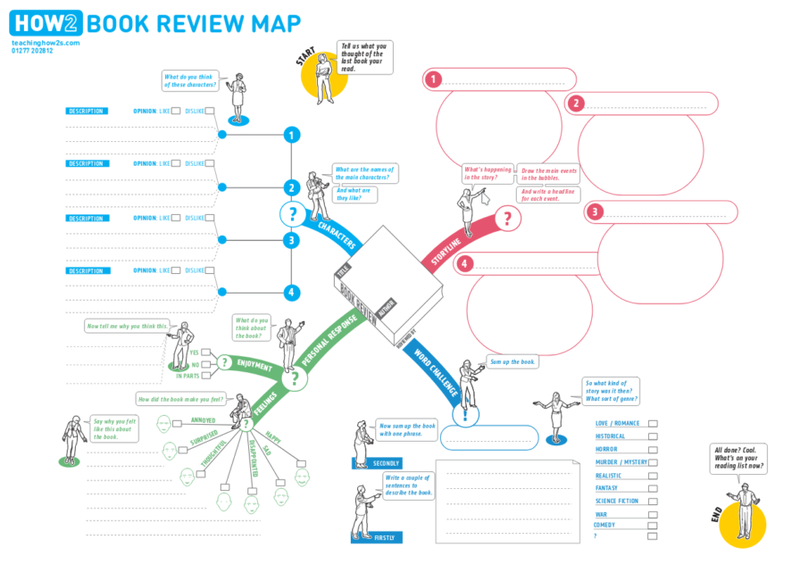 But everyone can download the book review map below — regardless of whether or not your school currently subscribes to HOW2s. I hope your students will enjoy using the map to help them reflect and discuss their reading and plan their reviews. Let me know how you get on.